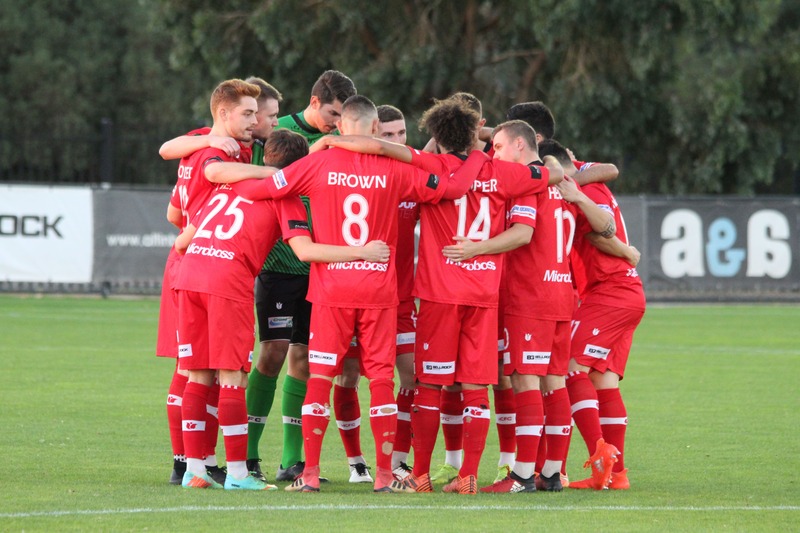 Hume City will certainly be looking to bounce back this week against Bentleigh Greens, at Kingston Heath Stadium. 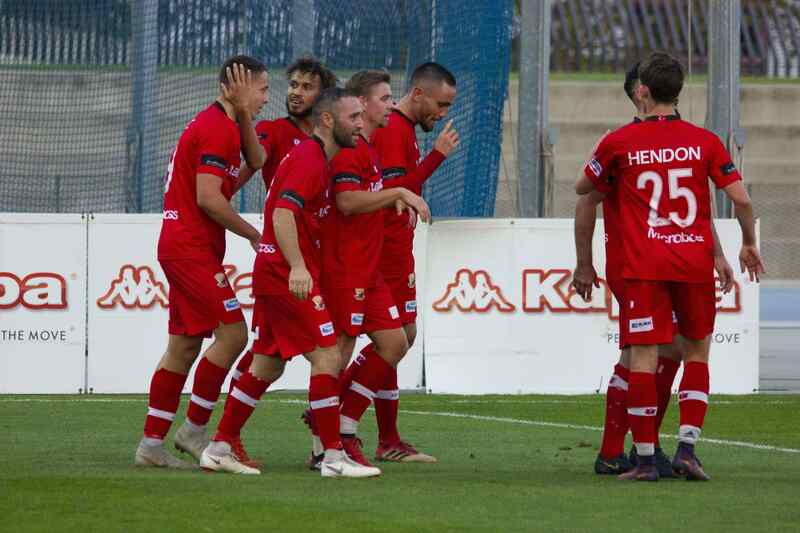 Round 4 was full of talking points and controversial decisions that left Hume City scratching their heads at how they were unable to walk away with at least a point against Heidelberg United FC. Bentleigh will also be looking to recover from round 4’s 2-0 defeat against Melbourne Knights. With Mitch Cooper leaving for international duty with Vanuatu, coach Nick Hegarty was forced to opt for a new starting 11 for the first time this season. New signing Matthew Lazarides earned his first start of the 2019 NPL campaign, slotting in directly for Cooper. It was the home side who kicked things off at Kingston Heath Stadium, with Valentino Yuel setting up a brilliant chance for Josh Barresi at the 5th minute, who’s shot was cleared off the line by an alert Will Hendon. Bentleigh had another great chance to score at the 10th minute, with a headed effort hitting the woodwork and was then cleared to safety by Danny Dixon. At the 24th minute, Yuel’s shot found the back of the net for the home side, courtesy to a Hume City deflection. The away side started to find their feet halfway through the first half, and at the 39th minute Danny Dixon’s interception at halfway allowed him to dribble through the middle of the ground and fire a shot straight into Ryan Scott. The home side went into the break leading 1-0. Not a whole lot of talking points in the first half despite the goal, although Hume did start to find their feet midway through the first half. A double substitution at halftime by Nick Hegarty saw Ersin Kaya and Gideon Sweet make way for Theo Markelis and Bradley Blumenthal. 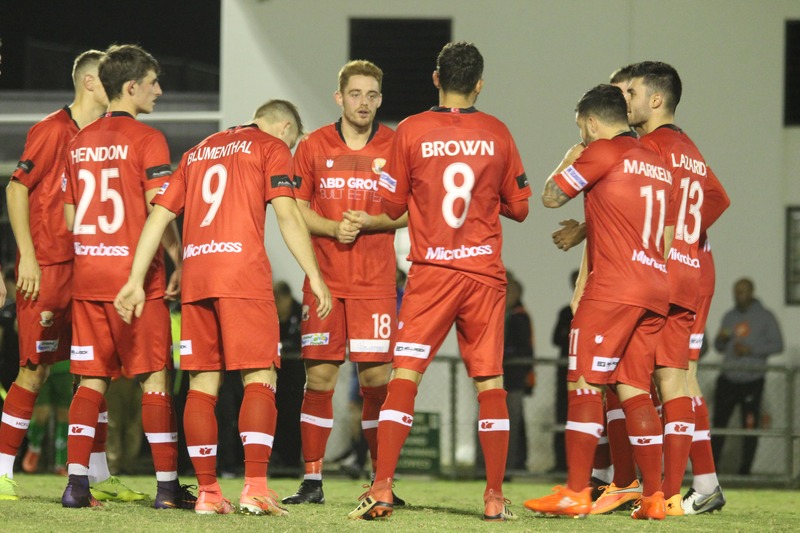 Hume City came out a completely different side in the second half, with James Brown having plenty of room to take the ball forward and eventually fired an absolute rocket into Ryan Scott. Josh Barresi stole the ball in Hume’s defensive half and had the chance to put the home side 2-0 up, only for his effort to go wide. A few minutes later, it was Barresi again who fired another shot into Michael Weier. 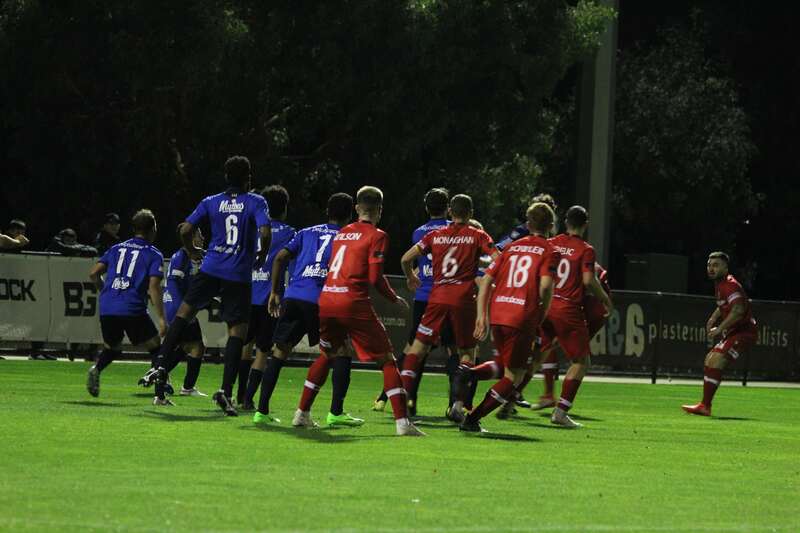 At the 56th minute, defence was turned into offence as a Bentleigh corner turned into a Hume City counter attack, lead by Matthew Lazarides who galloped forward with the ball. The resulting shot by Theo Markelis forced Ryan Scott into a last minute save, earning the away side a corner. Bentleigh doubled their lead at 59 minutes, with none other than Matt Thurtell being in the right place at the right time to slot the ball into the back of the net. Hume City continued to create numerous chances throughout the second half, despite being down 2-0. Substitute Bradley Blumenthal almost found the back of the net for the away side, after firing wide from outside the 18-yard box. Moments later, Ben Bowler’s headed effort almost found the back of the net for the away side but went over the bar. Will Hendon’s forward run allowed him to breach Bentleigh’s defence, but his shot was fired a few inches wide. James Brown then fired a left footed shot into Ryan Scott at the 87th minute. The away side continued their small patch of dominance, with Theo Markelis firing a great shot at Ryan Scott from a difficult angle at the 90th minute. Matthew Lazarides was then found in open space by Will Hendon at the 91st minute, and Lazarides’ cross to Bradley Blumenthal saw Blumenthal head the ball into Ryan Scott. The referee signaled the full-time whistle 4 minutes into extra time. The away side created plenty of great scoring chances, although Bentleigh’s early dominance allowing them to take an early lead set the tempo for the game. 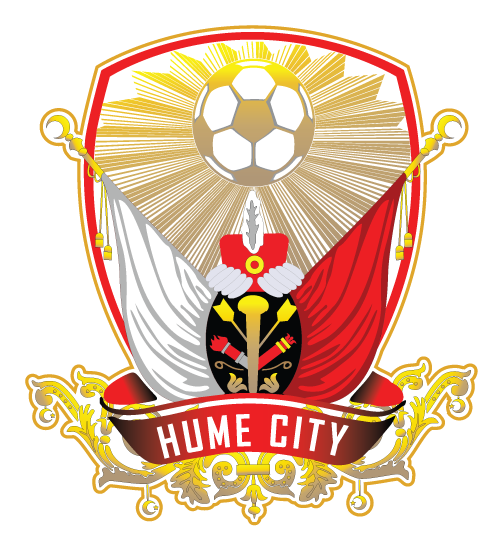 Hume City now have their sights set on welcoming newly promoted Dandenong City S.C to ABD Stadium, on Friday the 22nd of March at 7:45pm.